We've added some more furniture to the model and we're going to show how to add chrome effects to these. Start TourTool again and you should get a result like this. 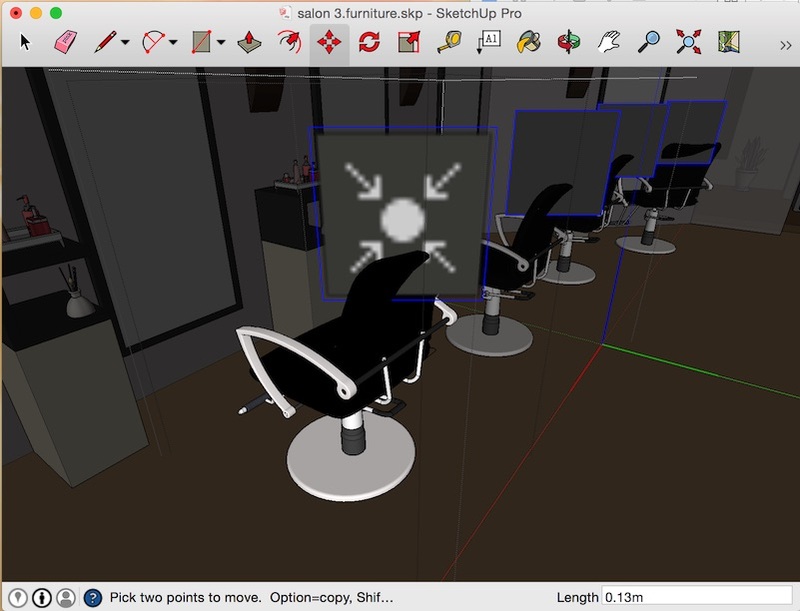 Double click on the base of a salon chair to edit the material. Choose from the Shading Properties dialog preset, 'Chromium'. The result is all faces using this material have a shiney look but because these surfaces are curved, LightUp is using a second technique for reflections. It is called IrrCache Reflections and they work by caching the reflected light at certain positions in your model to calculate realtime reflections. However, looking closely at the armrest, we can see the reflection is not of the room but of the backdrop sky in LightUp. 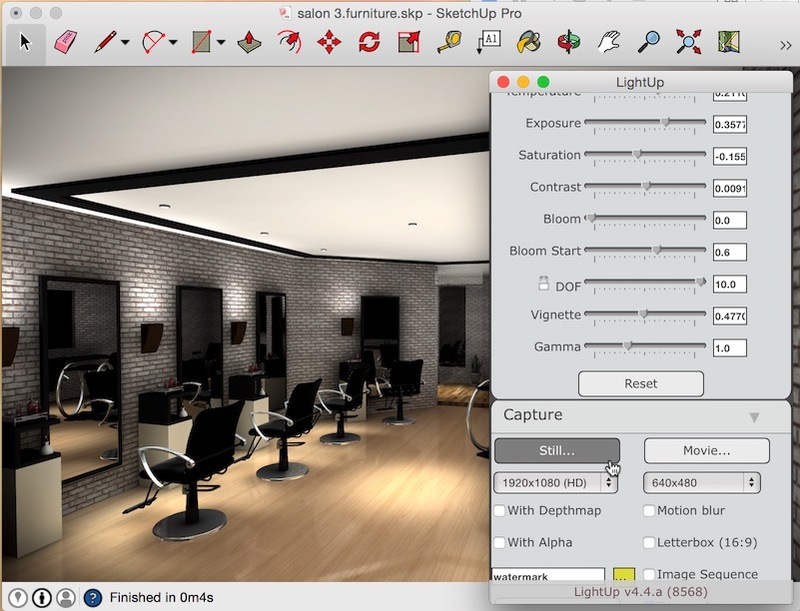 This is because we have not added any IrrCache components to our model, so LightUp is using the backdrop as the reflection. We want our chrome fittings to reflect the area around them. 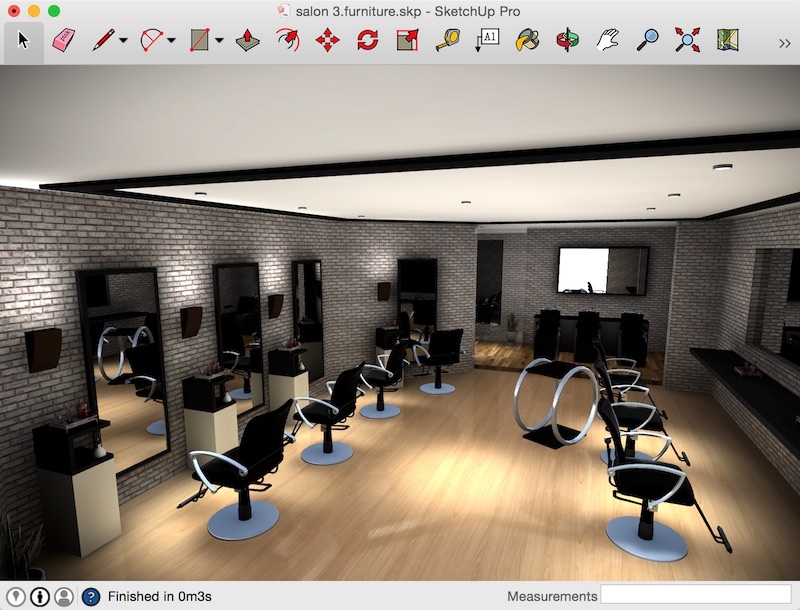 We are going to add IrrCache components to our model to capture the local reflections. 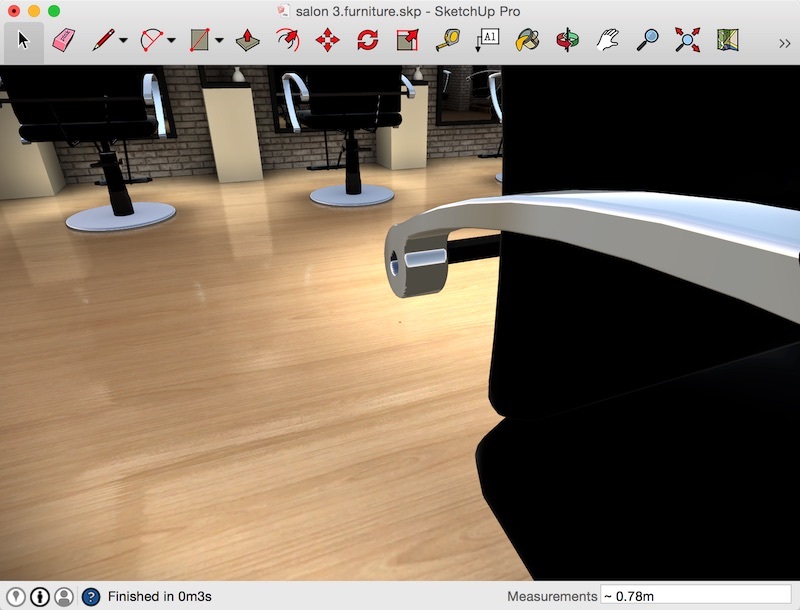 IrrCache reflections are most accurate close to the location of the IrrCache, so we are going to edit the salon chair Component to add an IrrCache component. 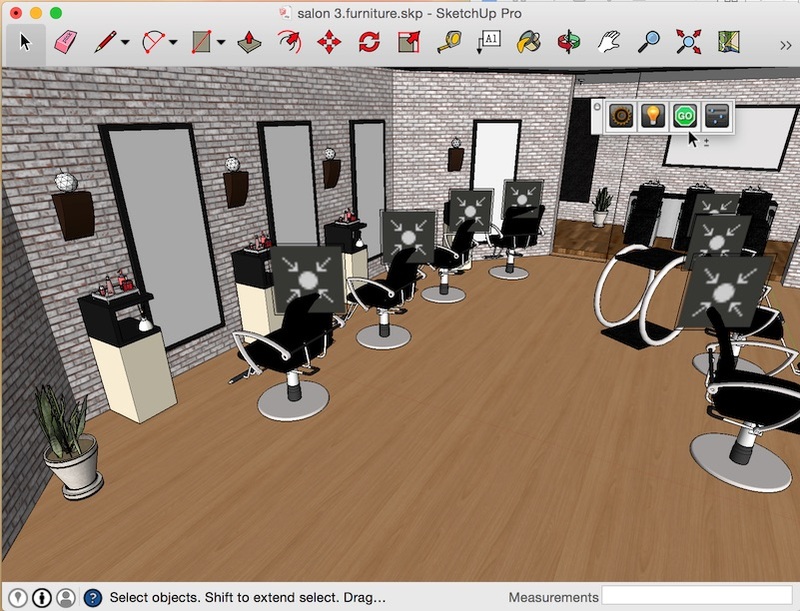 The salon chairs Component Instances are each in their own Group, so we need to double-click on one of them to open the Group, and double click again on the salon chair Component inside. 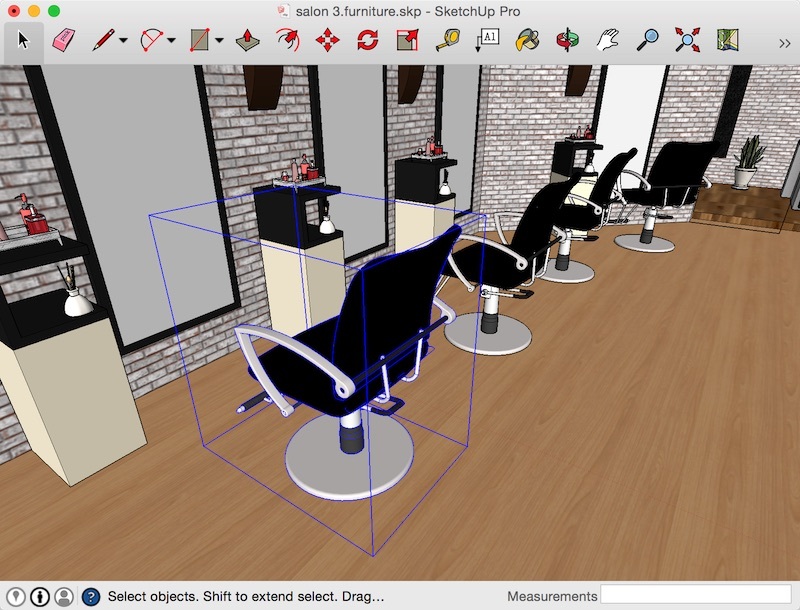 Drag the IrrCache component into your model and place at the top of the chair component. The exact location is not important - we just want the IrrCache component to have a good view of the room. Every instance of the 'salon_chair' Component now has an IrrCache. We can start TourTool again and see the effect of having IrrCache reflections. Start TourTool again. 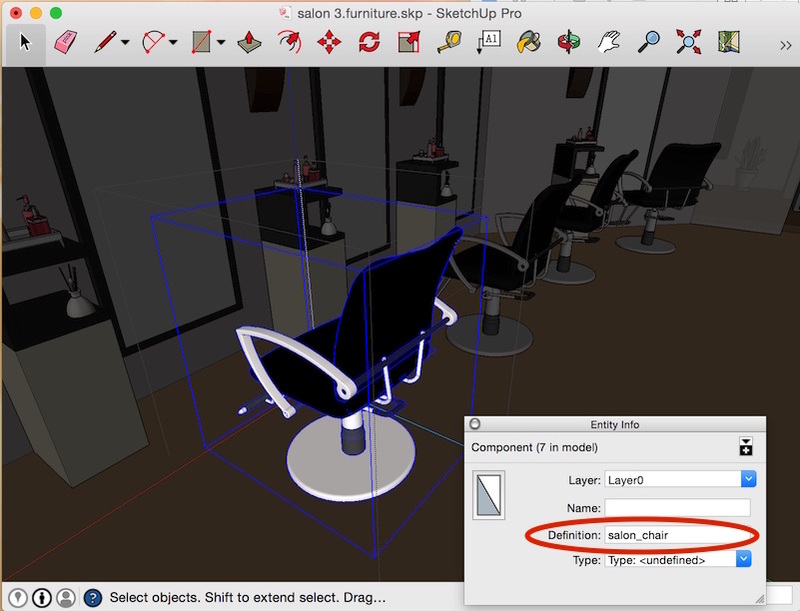 Double-click on the Chair base and edit the shiney material. Increase Specular. You will notice that the Chromium preset we used earlier has checked Metal at the top of the dialog. 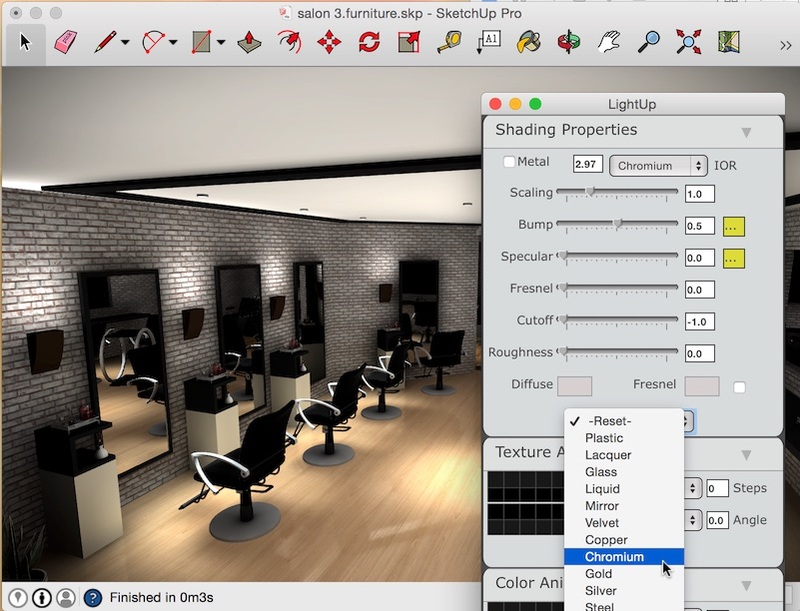 This setting means reflections are effect by the base material color. 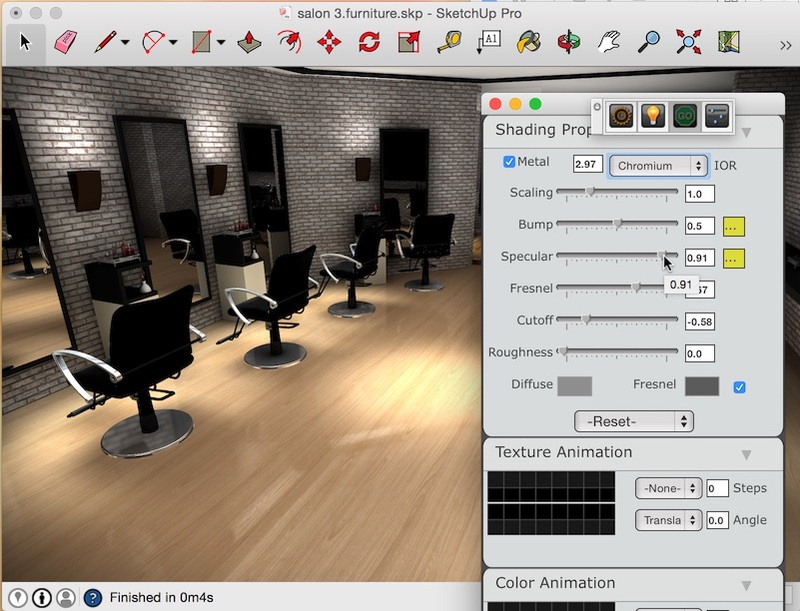 Try switching it off and playing with 'Cutoff' to get the style you want. 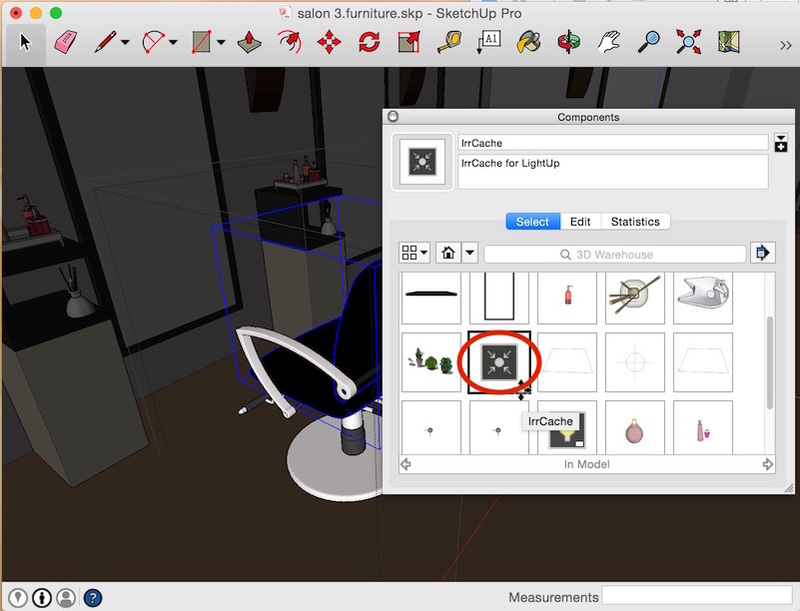 Export a Still of the viewpoint instantly by choosing a Resolution from the dropdown and clicking on Still..